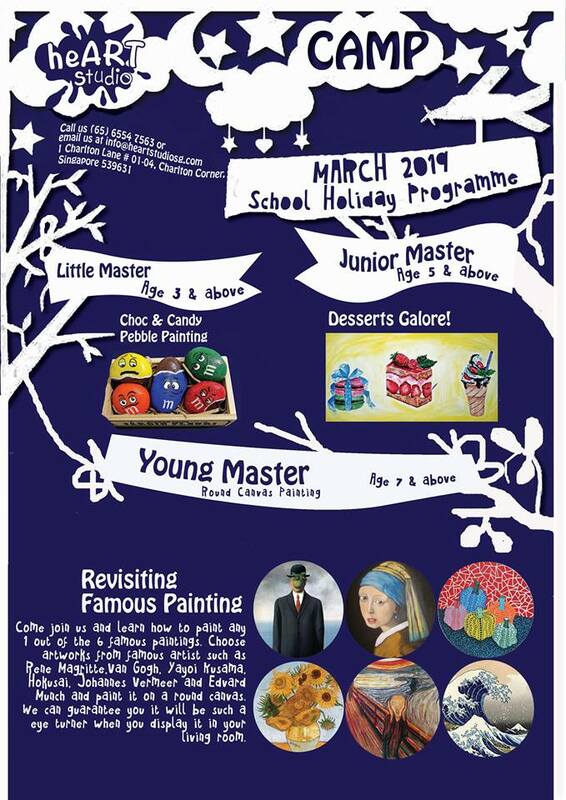 Time flies and it is time for us to introduce you our March holiday programme! Mainly it is the Little Master, Junior and Young Master, camps as well as craft! 2. When you sign up for 3 themes and above, you are eligible for our 15% discount! 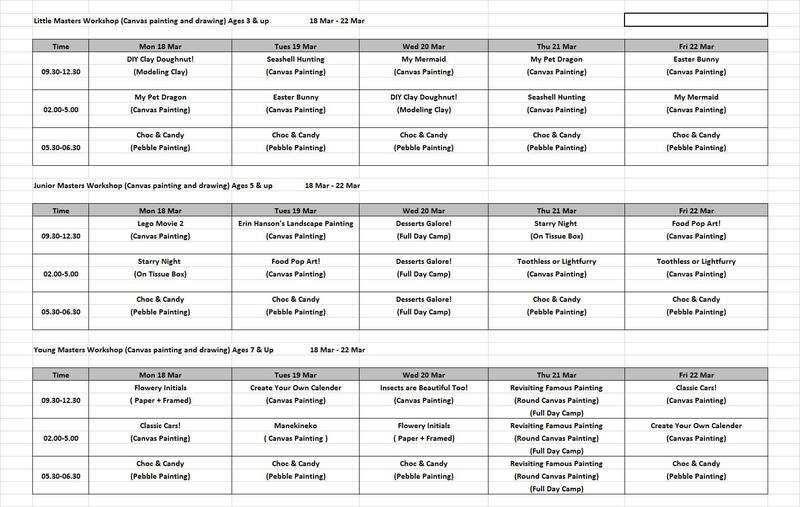 To avoid any disappointment, do hurry and give us a call to book a slot for your little artists. Thank you, have a great week ahead! We will see you soon this holiday programme!! Interested to attend Holiday Program?